Lorelle Meets The Obsolete are Lorelle (real name Lorena Quintanilla) and The Obsolete (real name Alberto González). 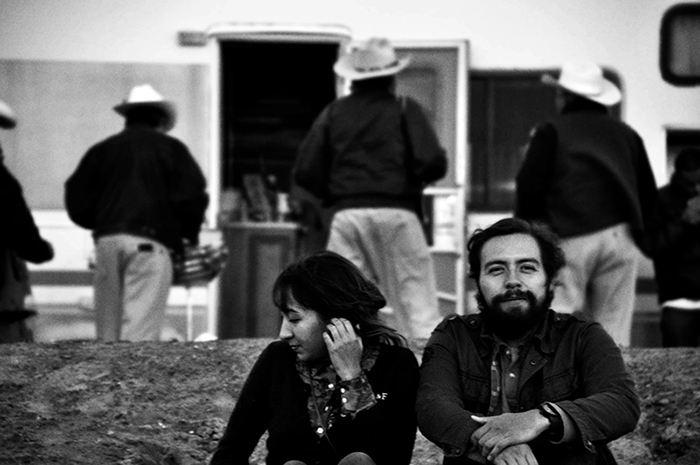 They are originally from Guadalajara but, after a stint in Mexico City, are now based in Ensenada, Baja California. After playing together in a few bands they began recording their psych-infused garage rock as a duo and also settled on their unusual moniker, which was half inspired by the recurring fictional film in Seinfeld called Rochelle, Rochelle and half by an episode of The Twilight Zone called The Obsolete Man. In September 2013 the band toured Europe for the first time to rapturous response. Their new album “Chambers’ came out on March 3rd 2014, mastered by Sonic Boom and released on iconic UK imprint Sonic Cathedral as well as Chicago indie Captcha Records (home to Ty Segall, Thee Oh Sees and many more).